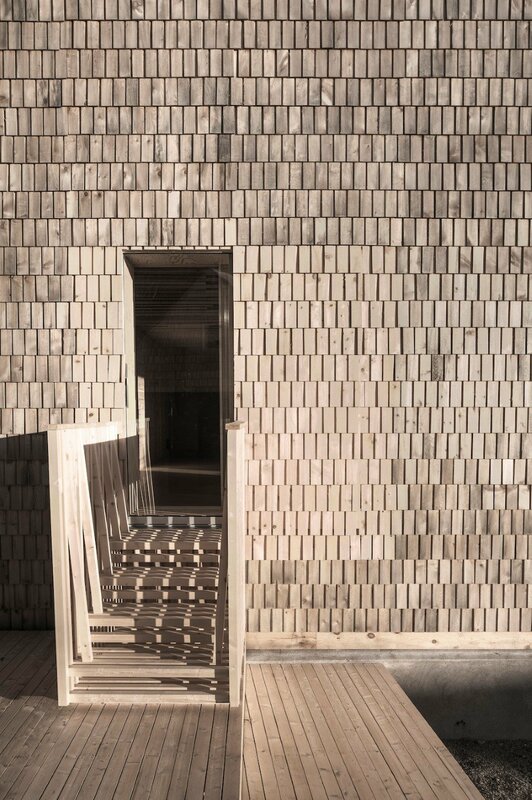 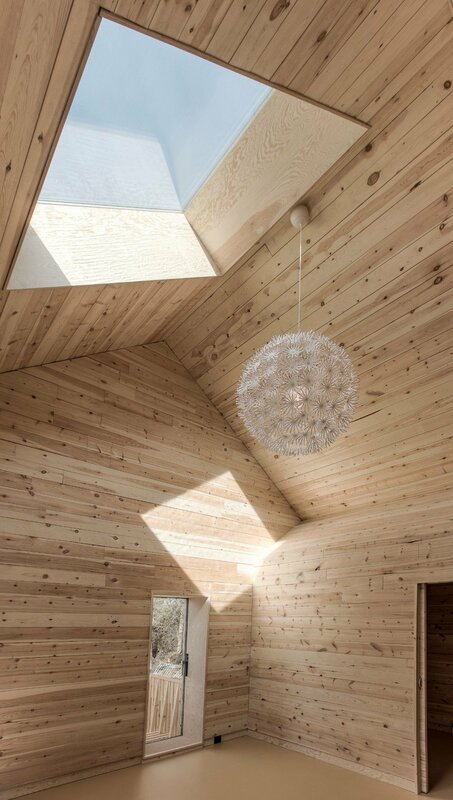 Arkitekt August Schmidt have designed Dikehaugen 12 “Sponhuset”, a modern wooden family house located in Trondheim, Norway. 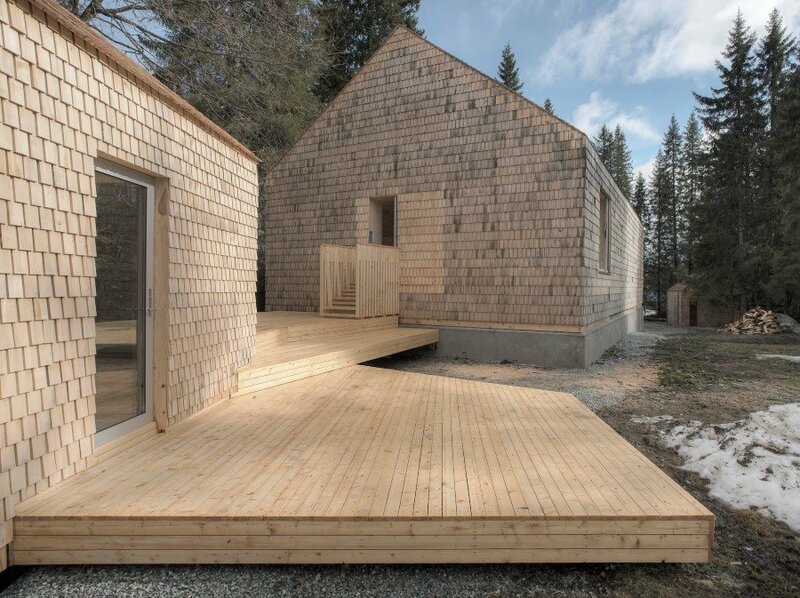 Description by Arkitekt August Schmidt: Dikehaugen 12 is a small one-family home situated amid trees in the outskirts of the city of Trondheim, Norway. 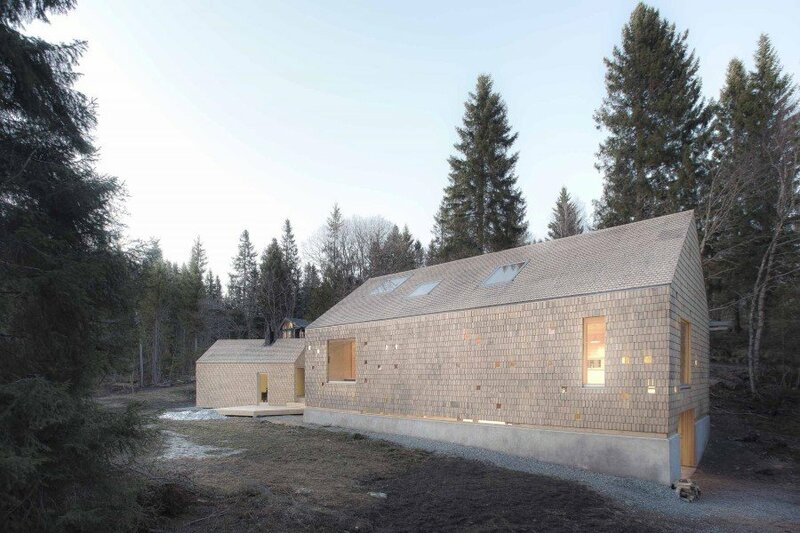 The complex comprises three saddle-roof built volumes: dwelling, suana and annex, all constructed in wood and clad with pine shingles. 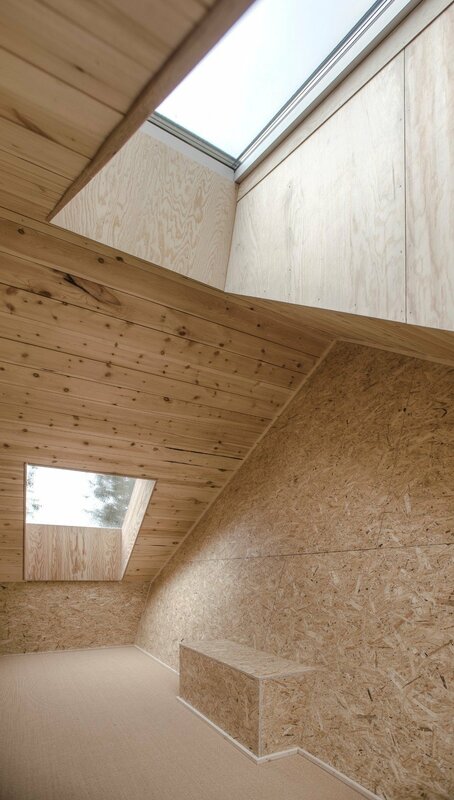 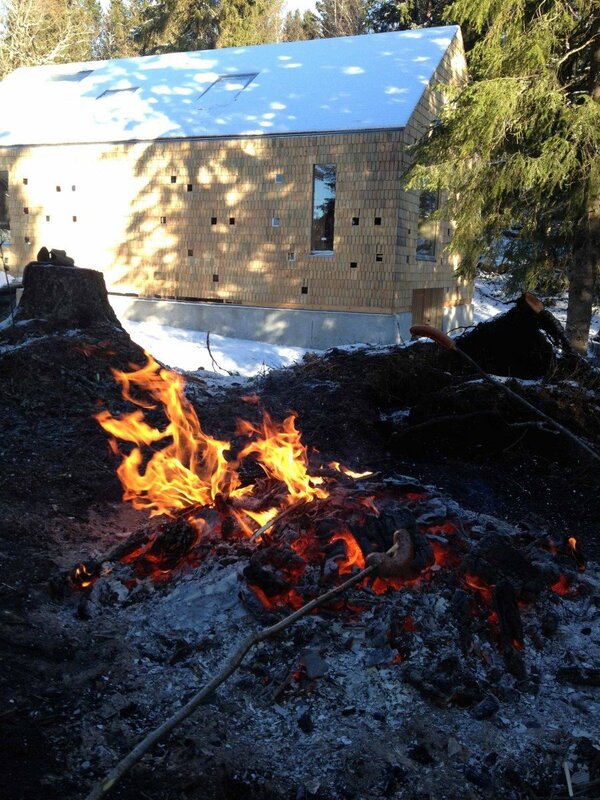 The Dikehaugen project is a commentary on contemporary building practices, the aim is to demonstrate (rather than speak of) solutions and thinking which represents an alternative to todays standards. 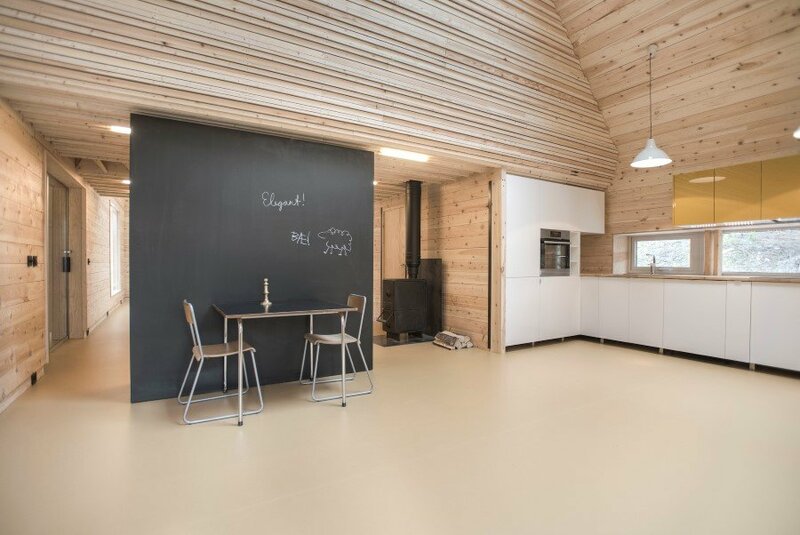 The project aimed at keeping a high standard in planning, materials, construction, and design, with the architect involved and in charge of all aspects of the building process. 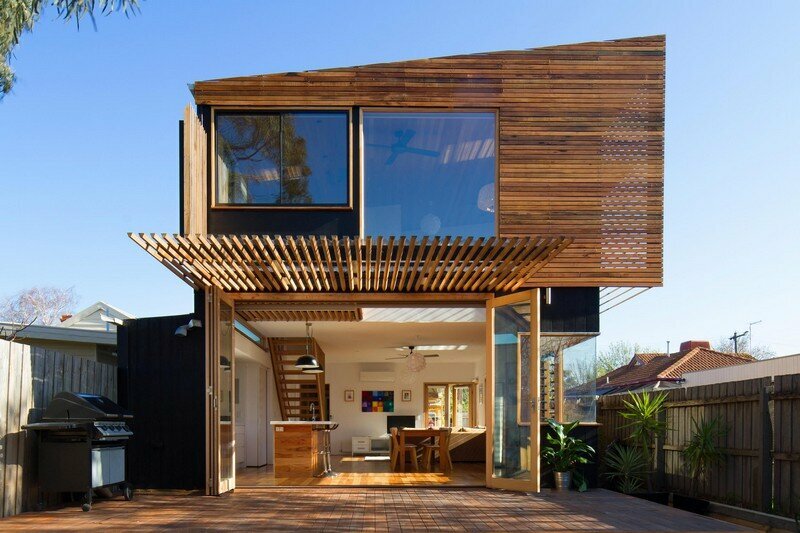 The residential building is energy efficient and enviromentally sustainable. 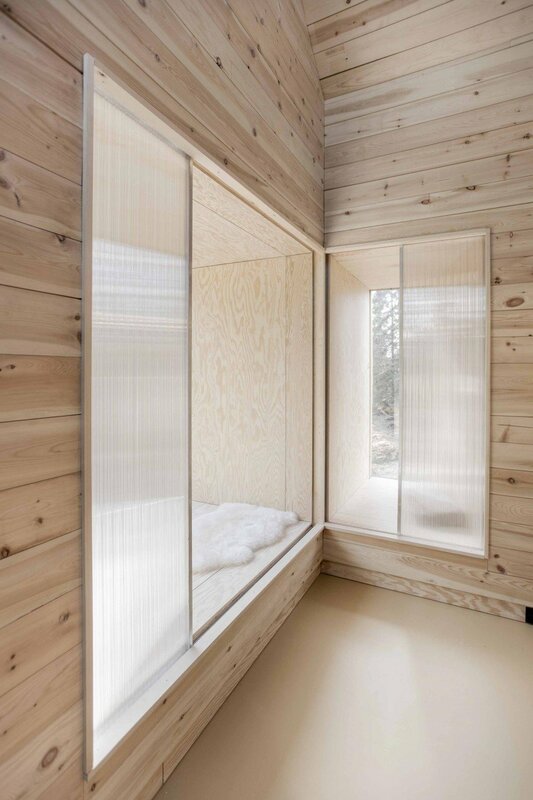 The house is compact, but a flexible floor plan allows for much living space, the materials are natural and the construction breathing, the design robust. 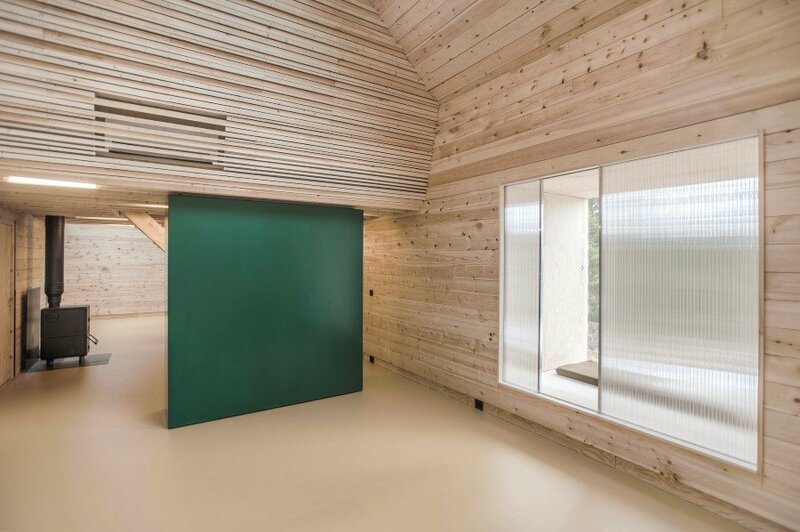 The building is low-maintenance, the exterior surfaces are unpainted and allowed to age with the weather and indoor surfaces are also untreated wood which do not require surface treatment. 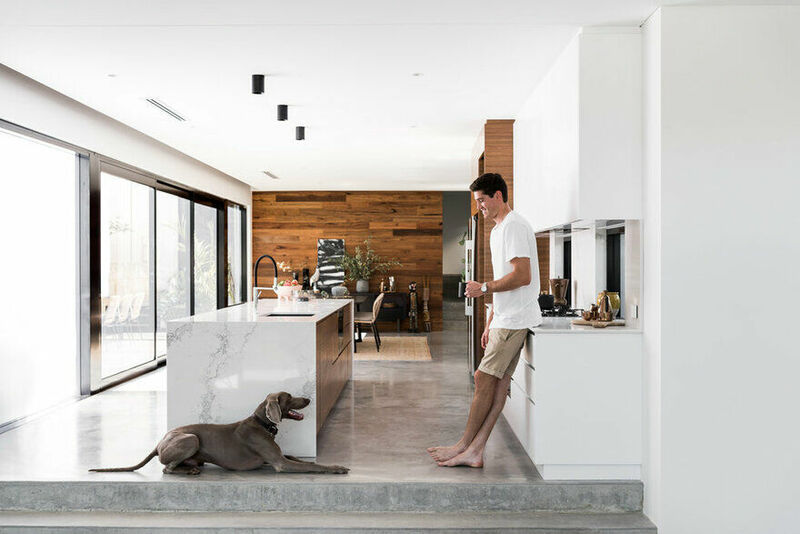 The design of the complex, their layout and the building volumes, aims at being distinct, but well tuned to the immediate natural surroundings.